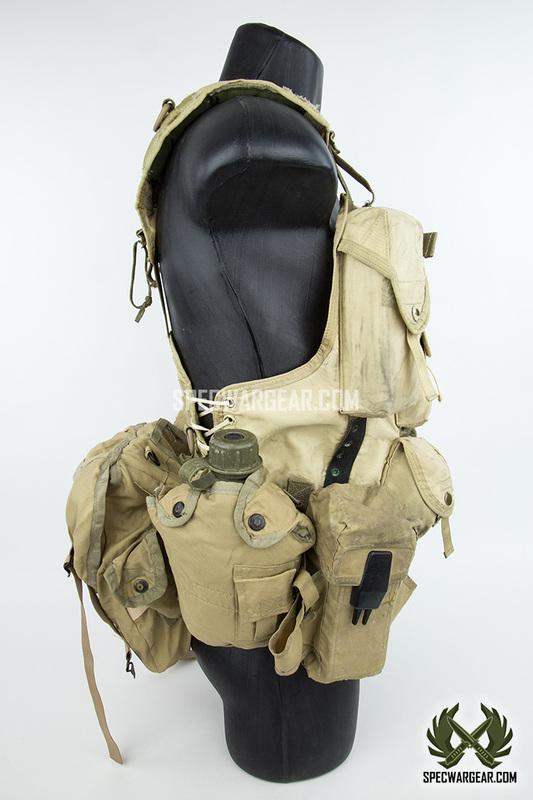 SKU: GEARLBVE0004. 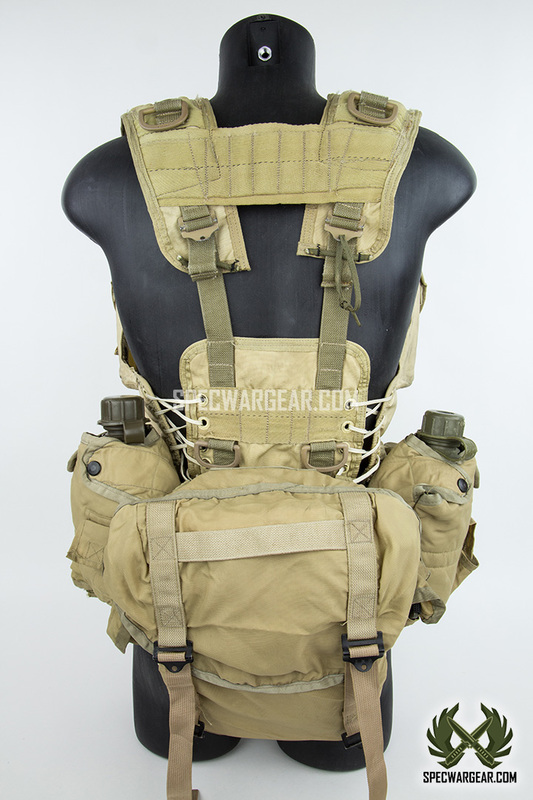 Availability: In stock Size: N/A Categories: Gear, Load Bearing Harness / Rig. Tags: ABA, American Body Armor, Delta Force, Desert Storm, Tactical Load Bearing Vest, TLBV, US Army, US SOF. 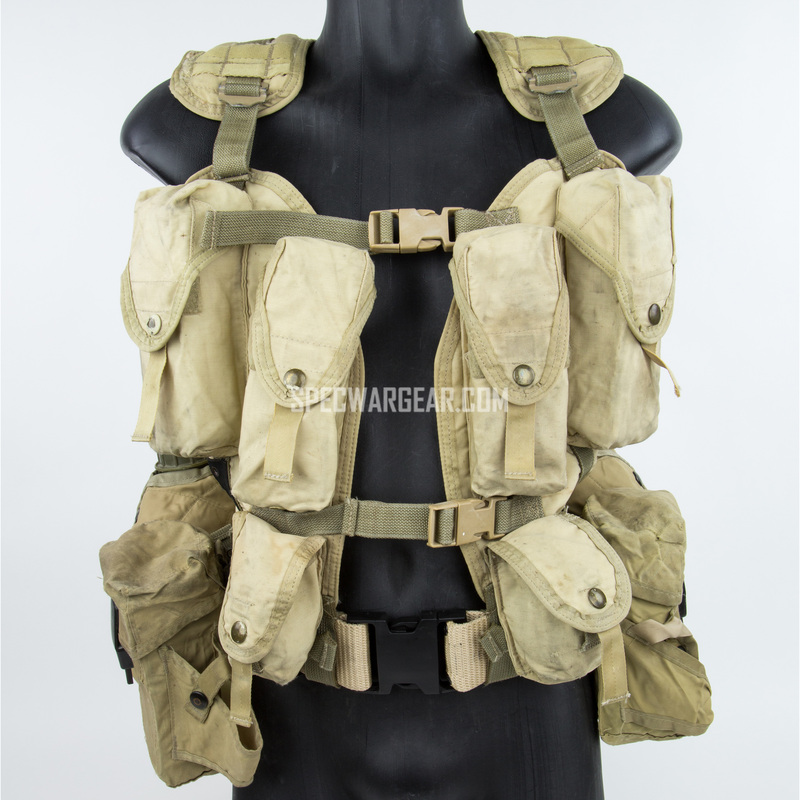 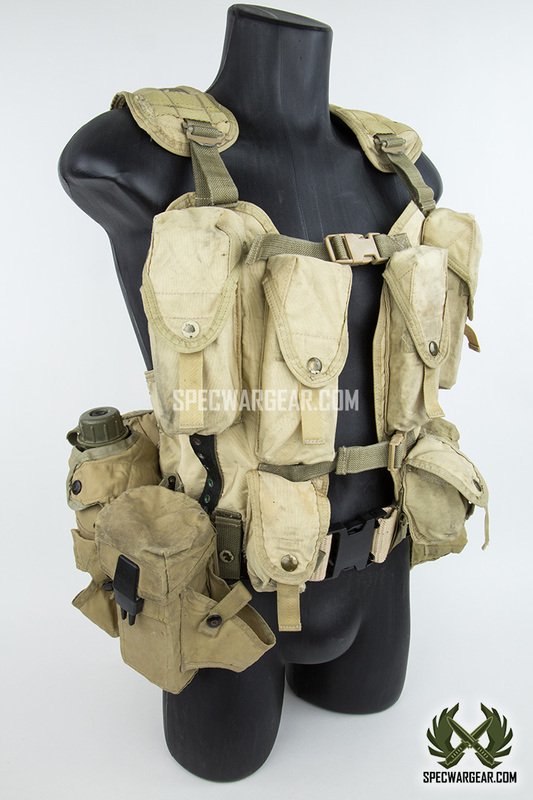 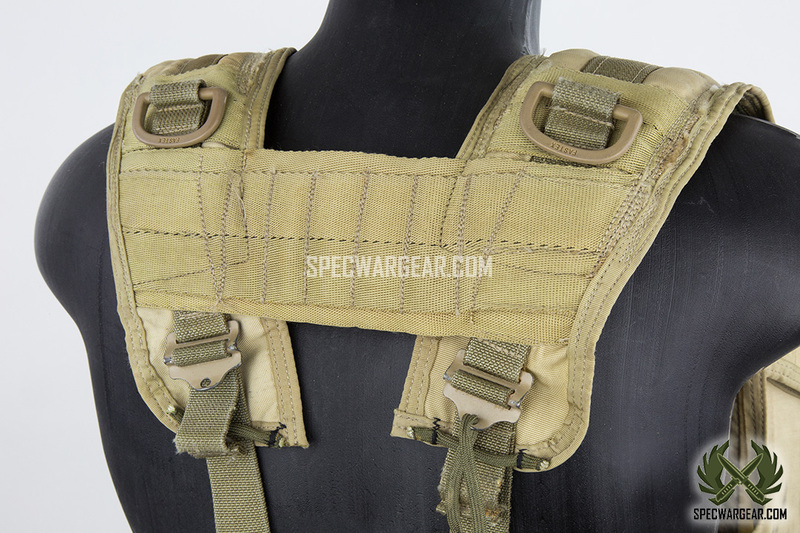 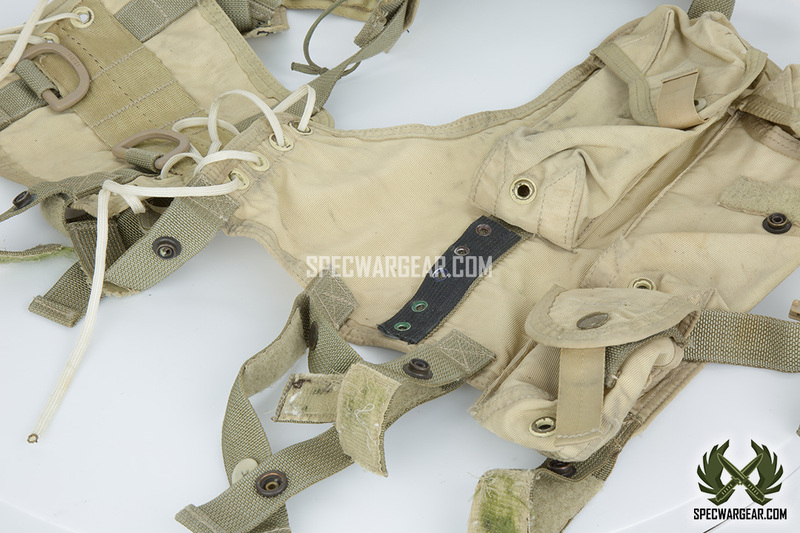 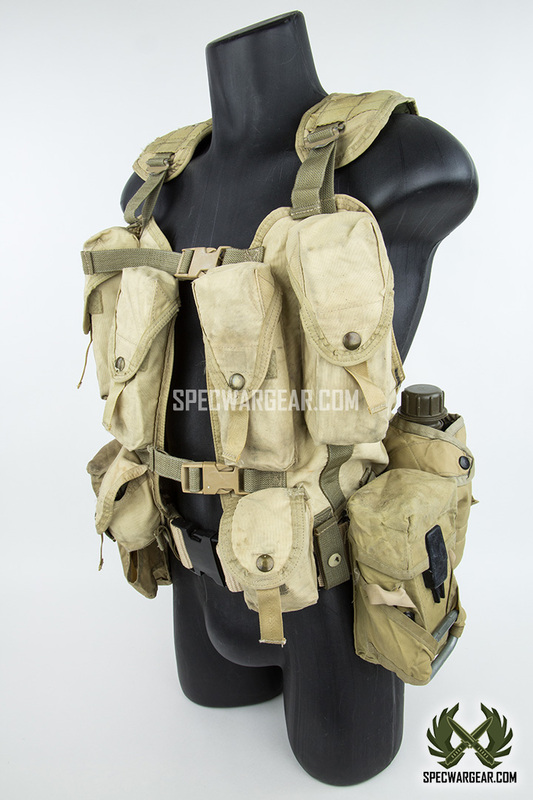 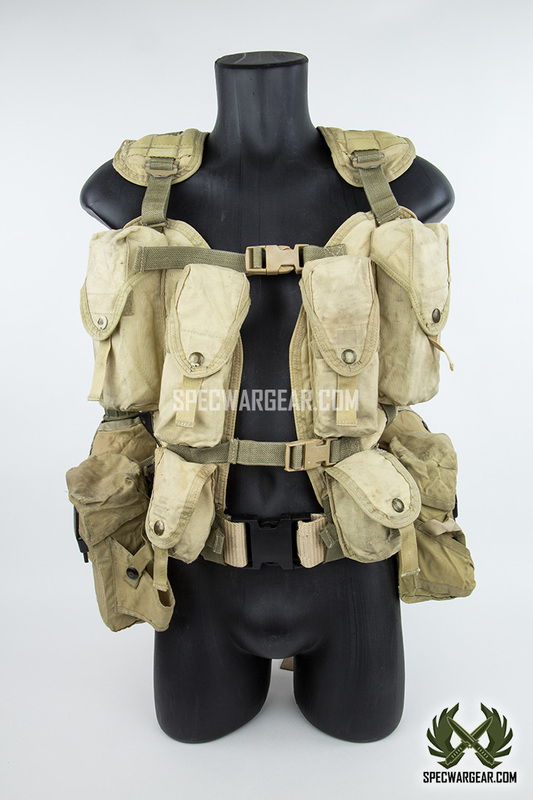 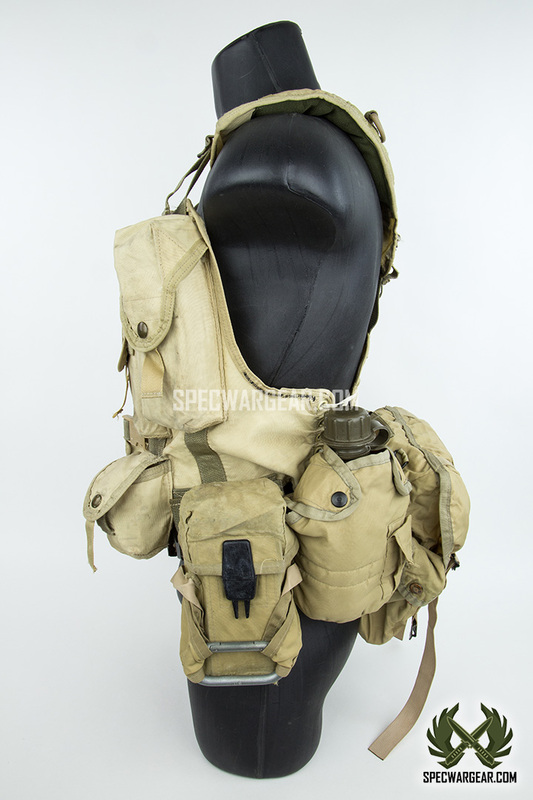 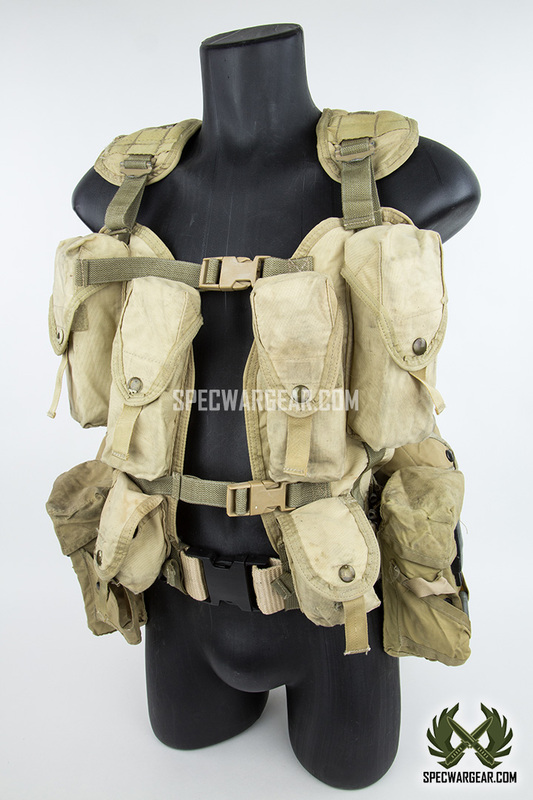 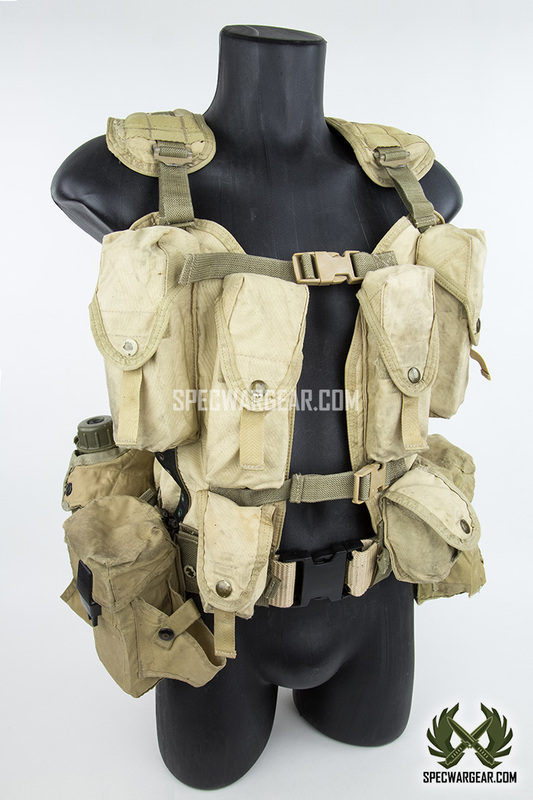 This vest is identical to the LOWE ALPINE / LCS-84 Tactical Load Bearing Vest (TLBV). 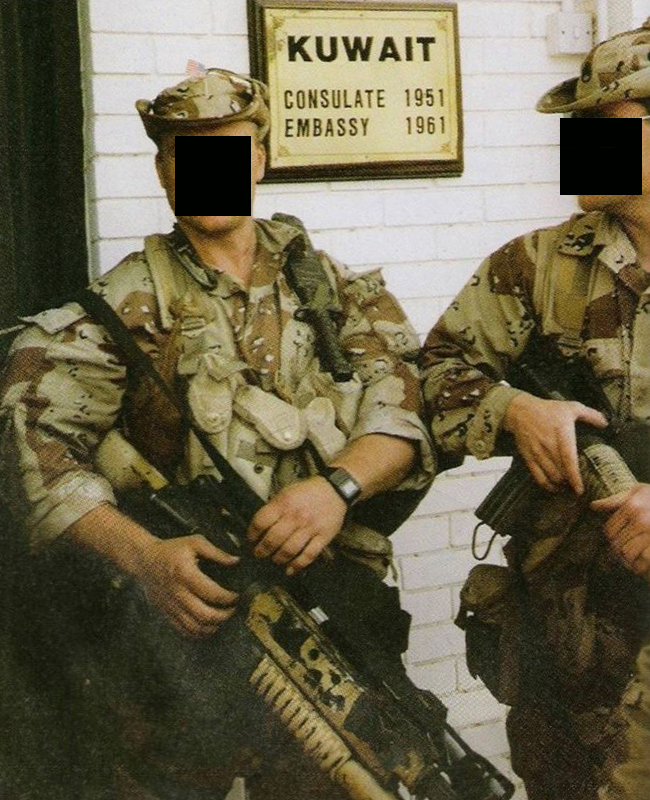 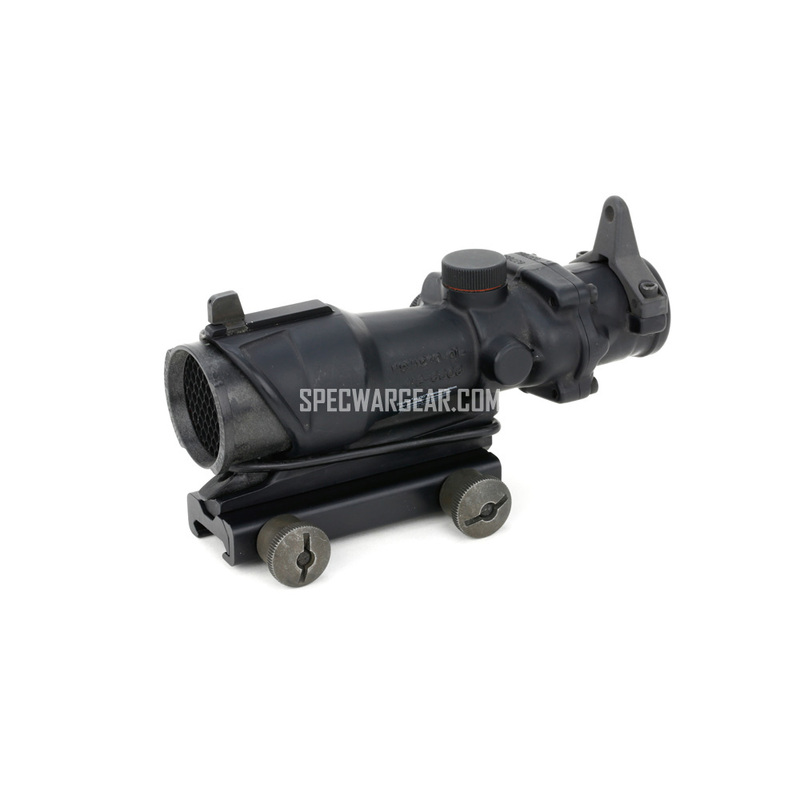 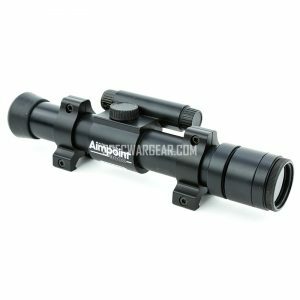 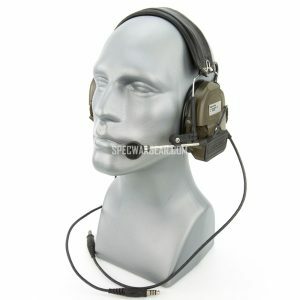 It was used by US Spec Ops units in the 1980s, during Desert Storm, and Operation Enduring Freedom. 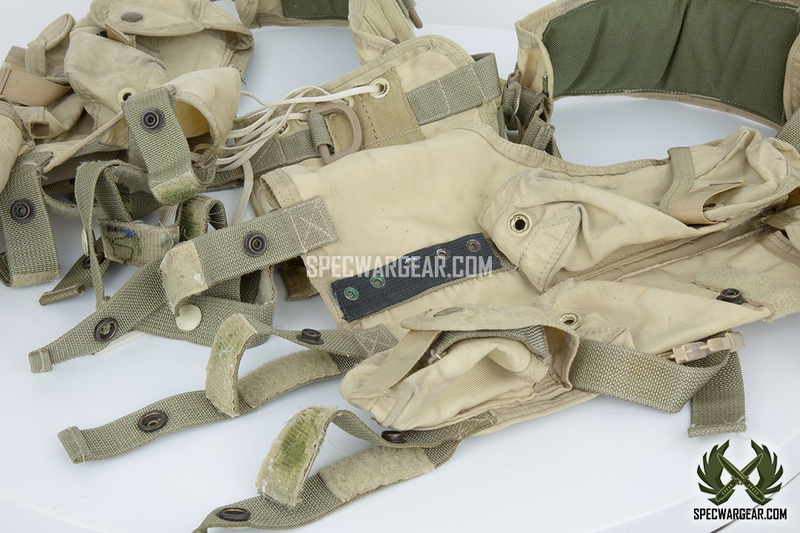 • 4 pre-shaped ammo pockets and belt-attaching straps secured by both Velcro type fastener and non-glare snaps. 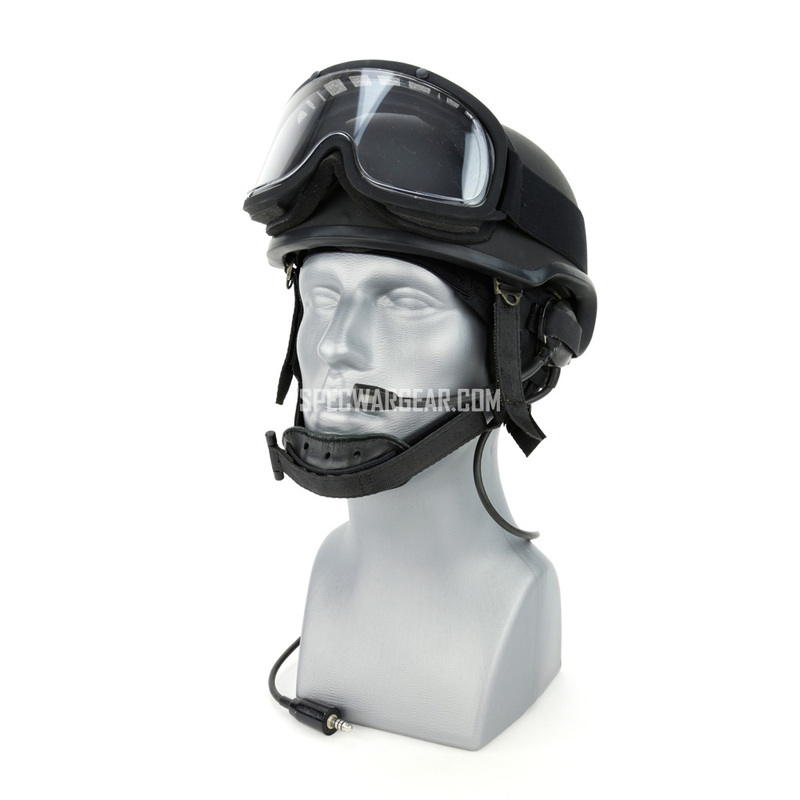 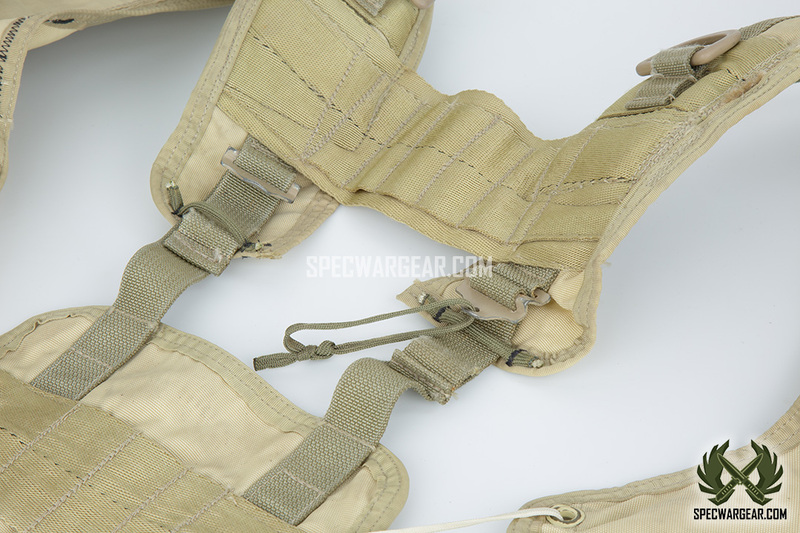 • Exceptional high load-to-weight ratio. 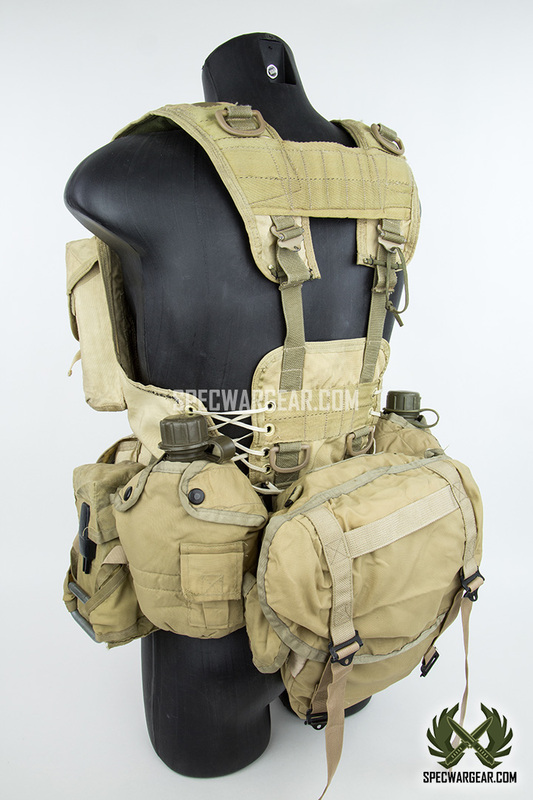 Weights only ounces yet carries whatever the user can bear. 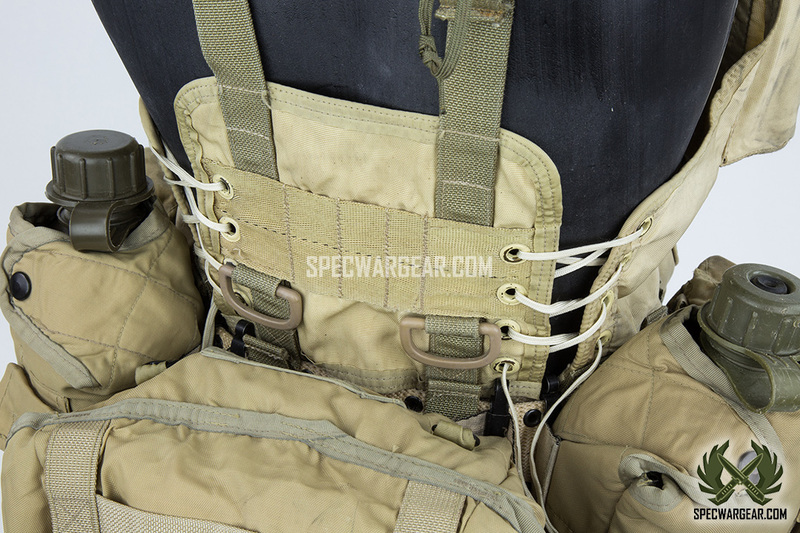 • Double stitched pockets feature quick pull tabs and are grommeted for quick drainage. 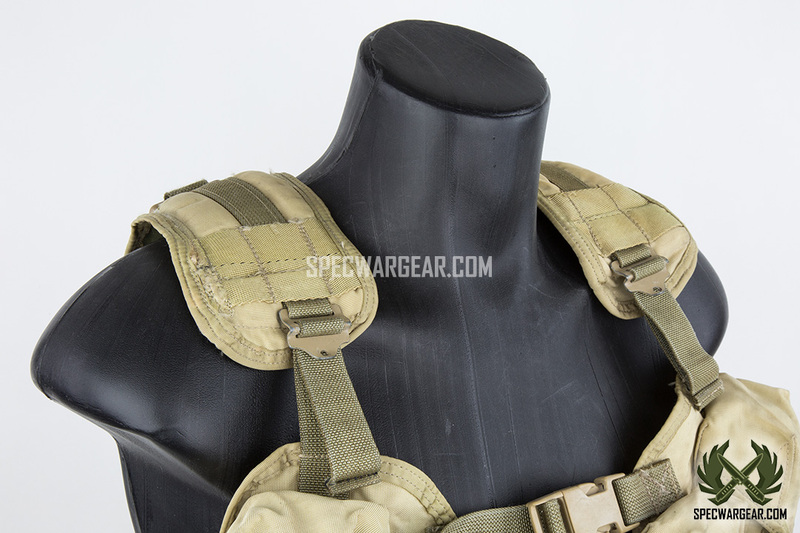 • Quick-release buckles ease vest removal in emergency situations. 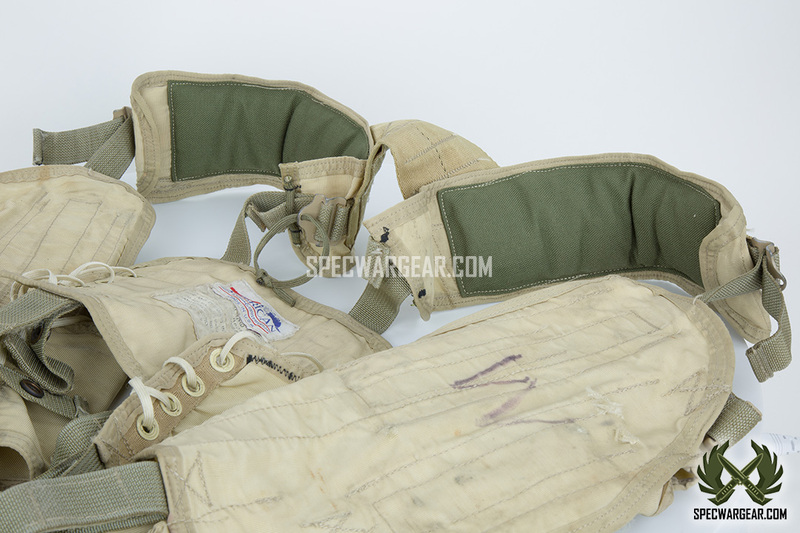 • Exposed seams are bounded with nylon tape. 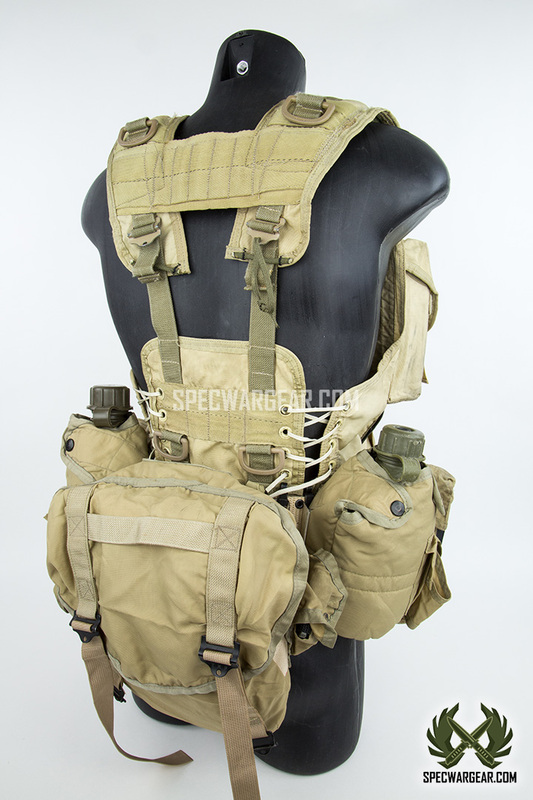 • 2 lower oversize ammo / frag pockets. 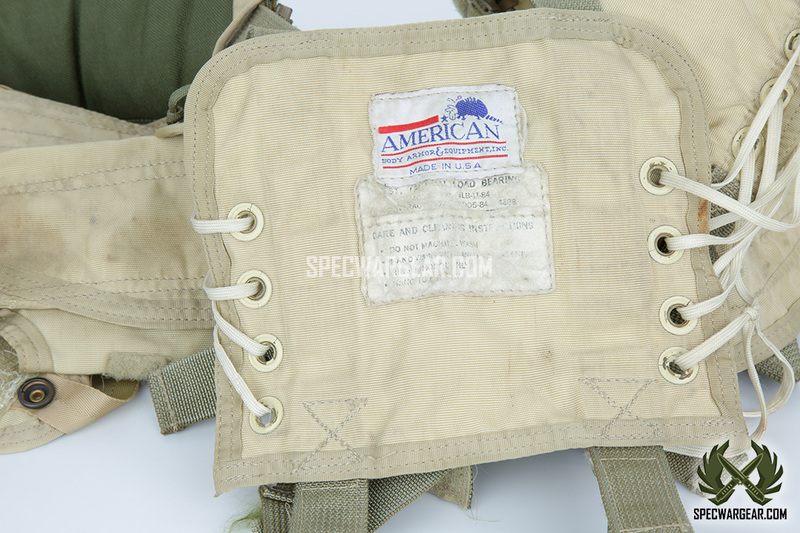 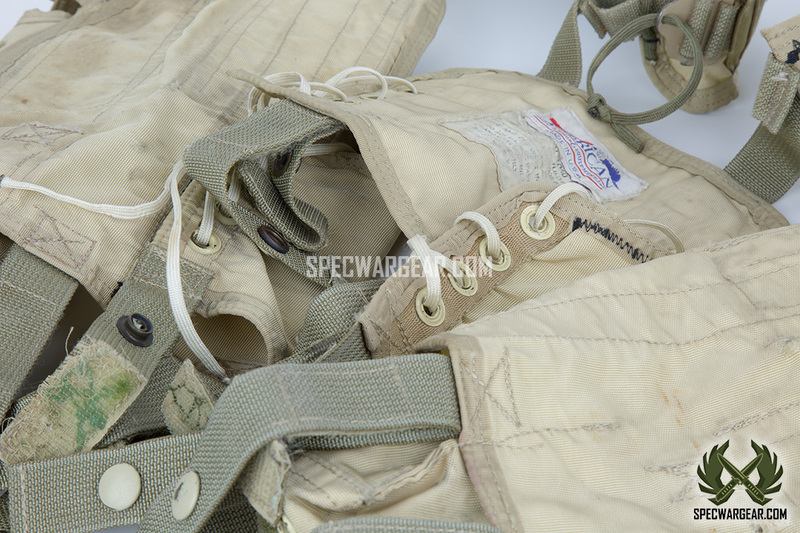 • Four 2-inchFastex “D” rings on the vest back for attaching the LCS-84 tactical pack.